Thanks Mama has cloth diapers, trainers nursing, toys ect. I have tried out many of their products from their store. Today I am sharing with you the Newborn Ecoposh fitted diaper. This diaper retails for $29.95 and it comes in five colors. 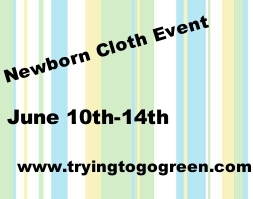 Are you looking for an absorbent cloth diaper to fit a smaller newborn? The EcoPosh Recycled Organic Newborn Fitted Cloth Diapers from Rumparooz are made from bamboo, organic cotton, and recycled water bottles that feel like cotton jersey. A 4 layer snap in soaker made from organic cotton and bamboo makes this absorbent and trim cloth diaper 7 layers thick. This is a perfect choice for multiples or preemies. Since this is a fitted cloth diaper you will need to add a waterproof diaper cover. Doesn't it look just so squishy. This fits from 4-14lbs. This is a great night time diaper and it fits really well. These needed to be washed and tried 5 times to prep them and I couldn't wait to put it on his tiny bottom. Here is a great front shot. Look at those tiny chicken legs I just love every part of this sweet baby. This diaper is so soft and I wish I had a blanket made out of it! 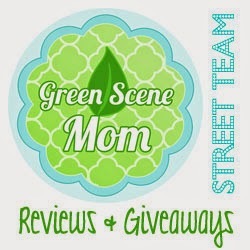 One Lucky TTGG follower will be winning a Ecoposh newborn diaper of their own! I love the brown/tan color called Biscuit. Thanks for the giveaway. Love the newborn shots! I would choose peace. So pretty! I would choose the bamboo color! I would pick love for our baby girl! I would pick the Bamboo or peace one. I think my favorite is ginger! I like ginger! But really all the colors are beautiful muted tones! I would choose love or peace - beautiful diaper! I would choose Peace. I love the blue. I would love the peace diaper!